I returned home on Monday after a crazy busy weekend to discover a swarm of bees outside our house. The neighbour who's fence backs onto our yard came over (I'd never met her before) to inquire of whether we had knocked down a hive or not. I explained to her that no one here had knocked down any hive and instead noticed the bees formed a sort of pileup on the tree. I thought it was a hive at first but the realized it wasn't. This is when I decided to google about bees and learn about their swarms. They were in a transition mode, looking for a new home. Someday I would love to have our own bees but it would have to be in the country as our township bylaw prohibits having bees too close to other houses. Since we can't have bees here, I knew they had to go as they were trying to build in the side of our window. Our house is old and our roof is in need of repair so the last thing I wanted was bees inside the house. 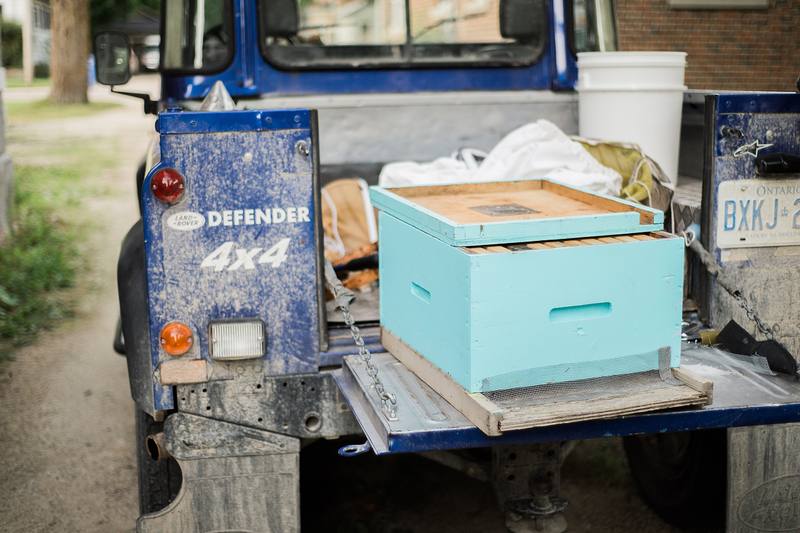 Since harming the bees wasn't an option for me, I wanted to find a way to have them removed safely and in a way that the bees could find a great new home. 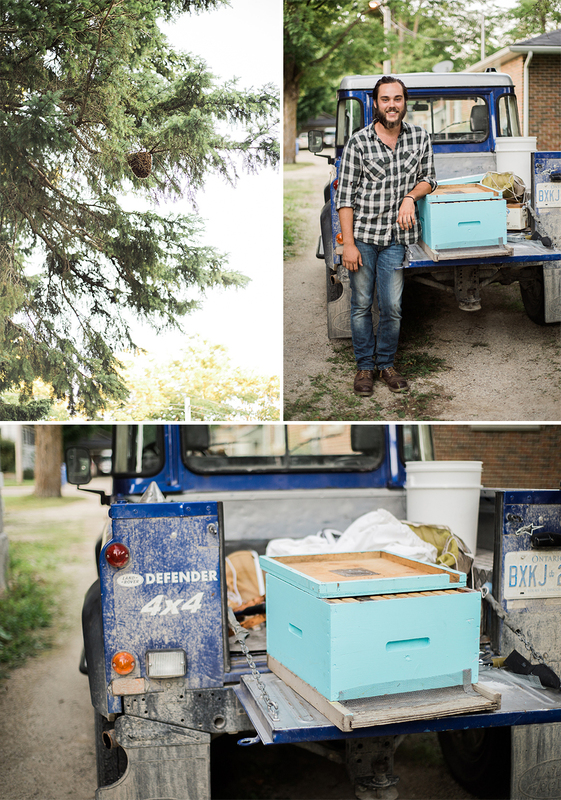 I called a local beekeeper but he was already maxed out for bees this year and wasn't looking for more. However, in the process of researching about my options I discovered that beekeepers will come remove the bees for free, which was a relief! Graeme owns two companies - Tapped Out Maple Syrup and Naked Bee Honey (graemefoers.com). We are all excited to have met him and now have an official place to get all of Emberly's local maple syrup and honey! I filmed the exciting removal of the swarm and will have to try to post some clips from that too!